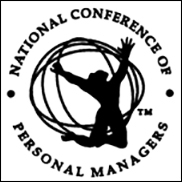 LAS VEGAS (CelebrityAccess) — Organizers for the National Conference of Personal Managers (NCOPM) have announced the twelve talent industry execs who have been nominates as the 2017 inductees into the Personal Managers Hall of Fame. Brian Avnet is the manager of David Foster, Josh Groban and Joshua Ledet. Starting as a road manager for Bette Midler, his clients have included The Corrs, Manhattan Transfer and Frankie Valli. Sid Bernstein (1918-2013) was the impresario who brought The Beatles to America, He was a concert promoter, producer and manager of Esy Morales, The Rascals, Ornette Coleman and others. Eileen De Nobile (1957-2016) was a producer and talent manager who launched the careers of Christina Ricci, Keisha Knight Pulliam and many other Broadway, film and television artists. Eriq Gardner is a film/television producer and personal manager whose clients have included Richard Belzer, Timothy Leary, Arianna Huffington, Todd Rundgren, Paul Shafer and Max Weinberg. Richard Linke (1918-2016) was the longtime personal manager of Andy Griffith and collaborated with TV producer Sheldon Leonard to launch the iconic TV series "The Andy Griffith Show." Lois Miller (1937-2014) was instrumental in the career development of numerouse young actors on Broadway, commercials and television, including "The Sopranos" actress Jamie-Lynn Sigler. Elliot Roberts is a record executive and music manager known for managing the careers of The Cars, Bob Dylan, Joni Mitchell, Graham Nash, Steven Stills and Neil Young. Dolores Robinson is a former actress turned Holywood manager whose clients included Pierce Brosnan, Michal Clarke Duncan, Howie Mandel, Martin Sheen and Wesley Snipes. Arthur Shafman (1939-2014) was known for bringing Mummenshanz to Broadway and managing the careers of Tammy Grimes, Michael Feinstein, Sandra Reaves-Phillips and Shield and Yarnell. Rick Siegel has managed Rosa Blasi, Craig Ferguson, Leah Remini and Nia Vardalos and has been a legal crusader for challenging the constitutionality of the California Talent Agencies Act. David Sonenberg is a producer and manager for The Black Eyed Peas, Indiggo, John Legend and Meatloaf. His film "When We Were Kings" received an Academy Award for best documentary. Jerry Weintraub (1937-2015) was a concert promoter, talent manager for John Denver, The Carpenters, and The Moody Blues, plus a film/tv producer who won three primetime Emmys.